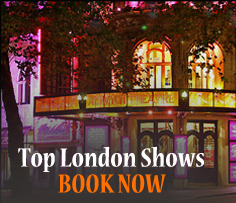 London is a tremendously vibrant and energetic city that is the home to some of the greatest museums, nightclubs and restaurants in the world. However, with the 2012 Olympics taking place over the next few weeks, the streets of England’s capital are destined to be a little more hectic with sports lovers from around the country, continent and world set to visit. For those of you who are looking to spend the next few weeks in London, but do not have every day filled with Olympic inspired events, here are some fun places that you can visit in a day. Near Salisbury and within two hours of London this prehistoric monument has become a central part of English folklore. This collection of stones were dragged across the country 5,000 years ago and have plagued the minds of archaeologists since their arrival. Here is a link for more information on Stonehenge. To get to Stonehenge from London you can get the train from Waterloo station. This unique city is surrounded by archaic architecture with Roman Baths, Abbeys and springs all within a short walking distance of the city’s central train station. All of this illustrious history is also surrounded by a host of city centre shops and is largely free of traffic. Here is a link for more information on Bath. To get to Bath from London you can get the train from London Paddington. The former capital of England, Winchester has an unspoilt cathedral which was built in the 11th century and is the burial site of several Kings. It’s only an hour from London so can easily be combined with a trip to another city on the same day. Here is a link for more information on Winchester. To get to Winchester from London you can get the train from London Waterloo. This World Heritage Site has 2 castles, 6 museums and a spectacular cathedral, with Geoffrey Chaucer’s The Canterbury Tales having immortalised the area. Only an hour train journey from central London, this is the ideal day trip venue for people visiting the city. Here is a link for more information on Canterbury. To get to Canterbury from London you can get the train from London Charing Cross, London St Pancreas or London Victoria. The birthplace of William Shakespeare, Stratford keeps it’s building’s aesthetics akin to the era of the great bard with many of the town’s buildings adorned with black and white timber frames. A sensational place to visit and shop at with many street performers filling the streets to evoke a creative vibe. Here is a link for more information on Stratford-upon-Avon. To get to Stratford-upon-Avon from London you can get the train from London Marylebone. A wonderful venue to visit in the summer, Warwick Castle has several dominating intact towers and ramparts surrounding its walls and is a picturesque tourist attraction. Archery, falconry and jousting each take place during the few warm weeks of the season. Here is a link for more information on Warwick Castle. To get to Warwick Castle from London you can get the train from London Marylebone. Most famous for its university, Cambridge is also the home to several gothic style College buildings that run alongside the city’s tremendous parks and grass. You can even enjoy punting along the River and the magnificent King’s College chaple is one of England’s greatest wonders. Here is a link for more information on Cambridge. To get to Cambridge from London you can get the train from London Liverpool Street. Another infamously academic city and the home to one of the world’s greatest universities, Oxford is know as the “City of Dreaming Spires”. The city’s glorious courtyards and buildings have inspired generations of writers and scholars and several scenes from the Harry Potter movies were filmed there. Here is a link for more information on Oxford. To get to Oxford from London you can get the train from London Paddington. An official residence of The Queen, this castle is the largest and oldest in the world and has been a Royal home for over 900 years. Located within an hour of London, Windsor Castle is surrounded by a host of greenery and is a perfect place to witness the Windsor Changing of the Guard. 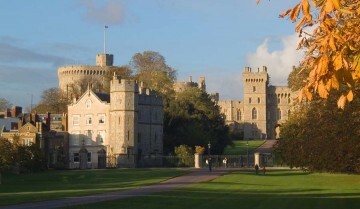 Here is a link for more information on Windsor Castle. To get to Windsor Castle from London you can get the train from London Waterloo. Looking for a relaxing city within a short distance of London where you can stroll along the beach, shop and drink, then Brighton is the city for you. Here is a link for more information on Brighton. To get to Brighton on the train from London you can catch the train from London Victoria. 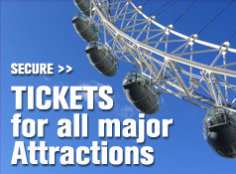 Posted on July 21, 2012, in Coach Trips, Day Trips from London, Historic sites, Sightseeing Tours, Windsor Castle Tours. Bookmark the permalink. Leave a comment.